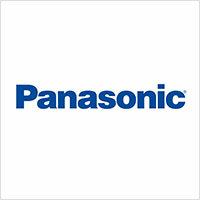 Panasonic is a company that usually does not require any sort of introduction. They have been one of the two defining giants of Japanese development. Headquartered in Kadoma in Osaka, they produce everything from home appliances to cellphones and home theatre systems. With 580 subsidiary companies across the world, the company is a force to be reckoned with. Most of the entertainment prowess of Panasonic comes from its acquisition of the erstwhile Sanyo. Panasonic historically targets the low and middle market segments. Most of their products are not luxury or highly sought after professional goods. However, they deliver great sound at an affordable price tag that is usually way more important for certain classes of customers. 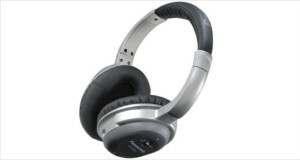 However, their recent foray into the luxury segment with the Ultimate Ears brand is definitely eye catching. Their headphones are the prefect mix of average looks and somewhat above average sound quality. Granted they are not going to win any great awards, but their existence is a testament to a burgeoning class of consumers who want to try out great sounds at an affordable price before making a switch to the higher end of the segment. The Panasonic company was originally called the Matsushita Electrical & Industrial Co. Ltd, founded by Konosuke Matsushita way back in 1918. Initially a company that started working on lamp sockets and bicycle lamps, the organisation diversified during the World Wars to manufacture light fixtures, motors and electrical irons alongside radios, and other communication equipment. Post the Wars, the company went on an international expansion spree, selling cheaply made television sets, shortwave radios and rice cookers. Most of these products were exported under a variety of brand names – much like the great Chinese expansion of today. Panasonic is historic for its creation of the first IBM-compatible all-Japanese computer in 1983. With regard to sound production, Panasonic was one of the pioneering companies in 1965 to produce high quality stereo equipment as well as high fidelity audio speakers under the brand name “Technica” that became instant favourites in the world market. They also sold excellent turntables that were instrumental (pardon the pun!) in bringing a lot of people closer to music and sound production. With the merger of Sanyo in 2008, the company went on a greater drive to create excellent-yet-cheap entertainment electronics. Throughout all these years the company has been acquiring, merging and controlling a variety of firms, giving it the economy of scale to operate at low costs and volume driven revenue. 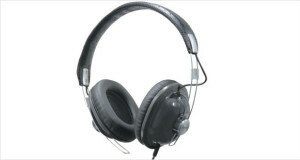 The Panasonic RP-HC500 noise cancelling headphones are one of those rare non-low-end products from Panasonic that have actually managed to do well in the market. This is primarily because of its muted, traditional looks and definite price advantage as compared to, say Bose or Sennheiser. The headphones are comfortable, offer good sound quality and extensive comfort thanks to great ear pads that also disallow external noise from filtering in, in addition to the active noise cancelling.